Looking for Car Hire in Cairns? Our Cairns premises is centrally located at 48 Comport Street Portsmith, in close proximity to the Convention Centre, CBD, Trinity Inlet and the port area. Comport Street forms part of the arterial 'Southern Access Road' linking up with the Bruce Highway to Townsville and Brisbane, and the Gillies Highway to the Atherton Tablelands. We provide a free airport pickup service during working hours! 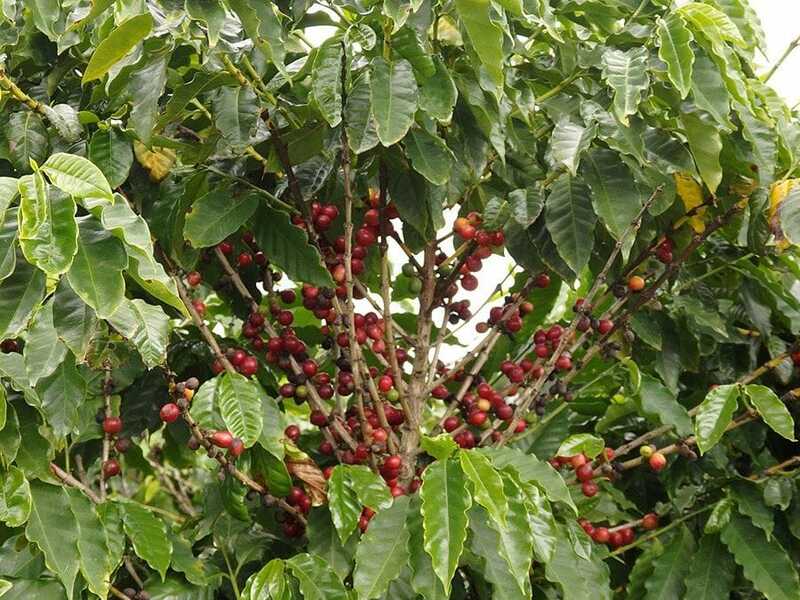 Picking up in Cairns and finishing at another destination? We make hiring a car easy! 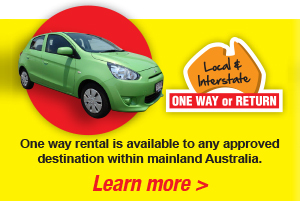 No problem - we offer one way car rentals to most locations in mainland Australia, so you can pick up your rental car and drop it off at one of our other locations! Looking to rent a car from Cairns airport? We also provide a free Cairns airport pickup service for all of our car rentals! Would highly recommend these guys, made our move so easy and way cheaper than what we had imagined, the moving kit was a great help to. The staff were extremely friendly and very knowledgeable with the transport we had chosen, if i ever move or need to hire again will definitely return to these guys. Would highly recommend these guys, made our move so easy and way cheaper than what we had imagined, the moving kit was a great help to. The staff were extremely friendly and very knowledgeable with the transport we had chosen, if i ever move or need to rent a car again will definitely return to these guys. GREAT CUSTOMER SERVICE. GREAT RATES. GREAT FLEXIBILITY. Thanks to the team at 1300 Meteor (esp. Niki) for sorting our needs so quickly!. 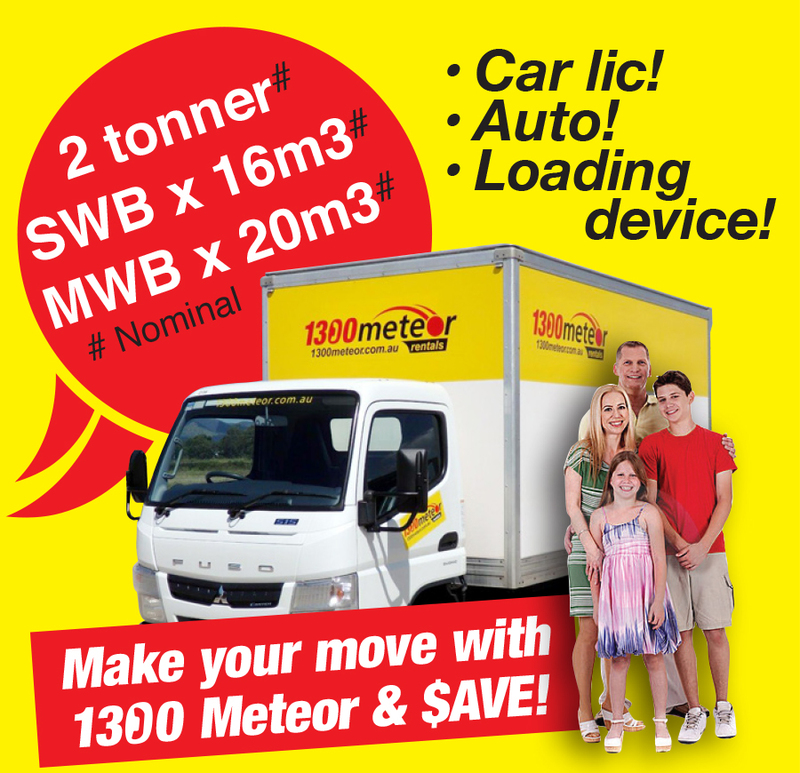 1300 Meteor Rentals Cairns is rated at 4.9 based on 110 reviews. Cairns is Queensland's northern most large provincial city with a population around the 160,000 mark and is a major hub for government, community organisations and business servicing Cape York, Atherton Tablelands and Gulf (of Carpentaria) areas. The city is located about 1,400 kms north of Brisbane on the eastern seaboard between the Coral Sea and Great Dividing Range. 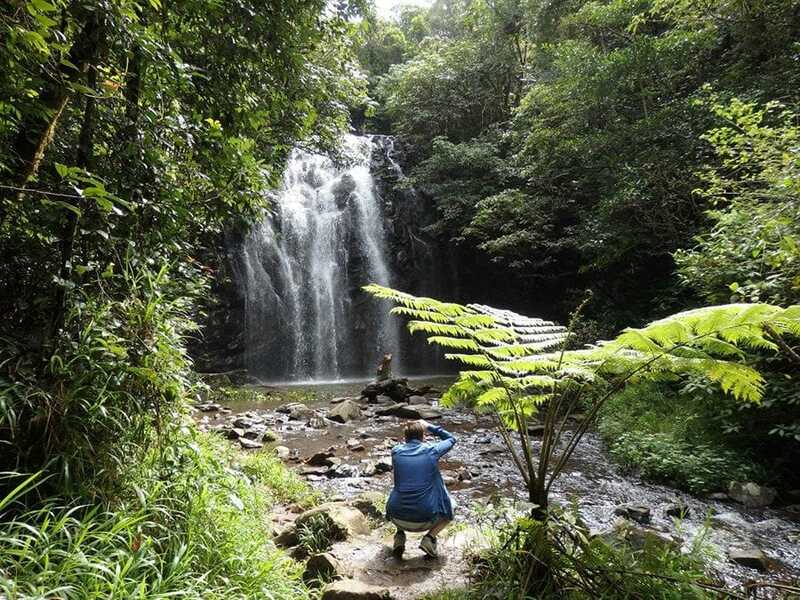 It is a very popular tourist destination thanks to its wet tropical climate and lush hinterland, its proximity to the Great Barrier Reef, great scenery and varied tourist attractions not only in Cairns but also to close by centres such as Port Douglas, Mission Beach and the wonderful Atherton Tablelands. The 2 wettest towns in Australia (Tully and Babinda) in close proximity to the south. As the State's northernmost city and only centre north of Brisbane with a full time international airport Cairns is also very popular with tourists / backpackers who wish to travel extensively around Australia as its geographical location makes it an ideal starting or finishing point. Services to northern and western districts, including local shipping running up the coast to the Thursday Island group and around the Cape to Wiepa. The Great Barrier Reef (Green and Fitzroy Islands and various reefs), from both Cairns and nearby Port Douglas. 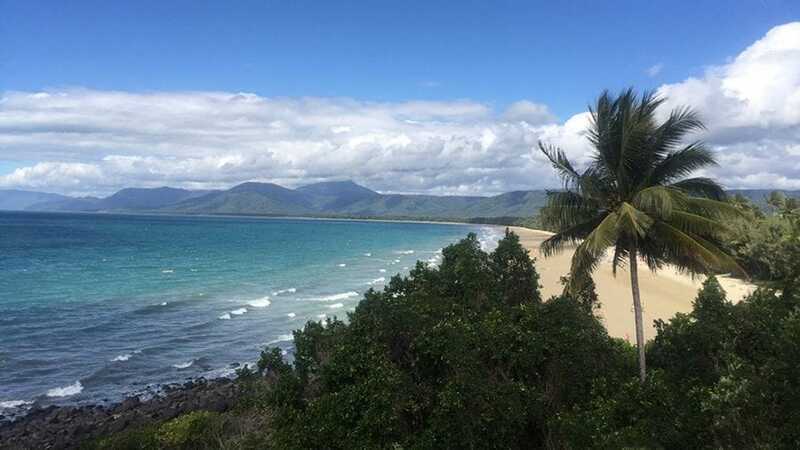 The drive along the coast to Port Douglas is stunning in itself. 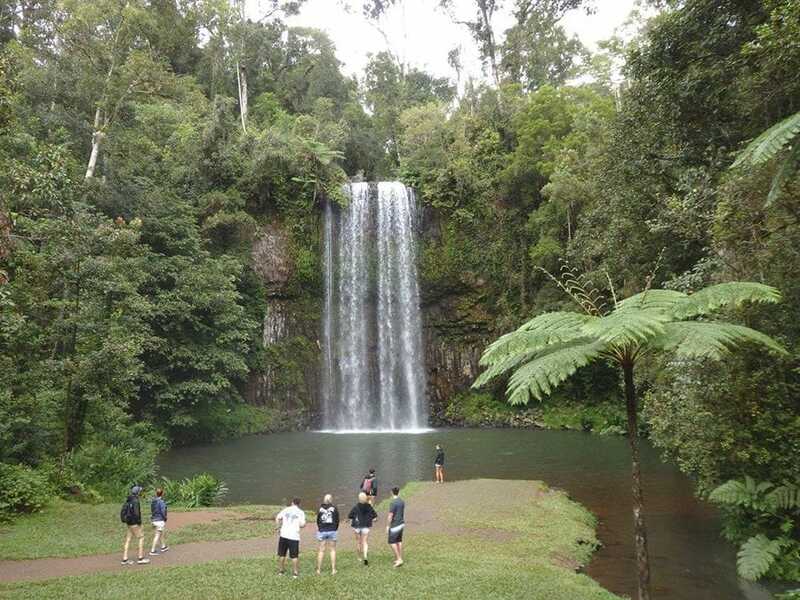 Local attractions include the swimming lagoon on the Esplanade, the Kuranda Scenic Railway, and the Skyrail cablecars that runs up over the range from Smithfield to Kuranda on the Atherton Tablelands. Feeling fit? Try the red and blue arrow walks starting from the Botanical Gardens in Edgehill that run up the hillside with spectacular views. 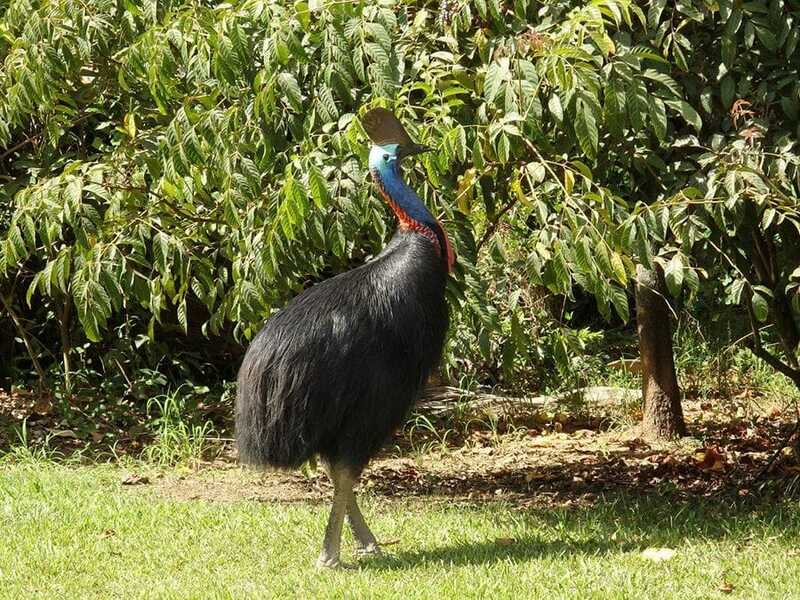 CAIRNS - if green is your favourite colour and weekend scenic drives into the extensive surrounding district or being on the water is your thing!